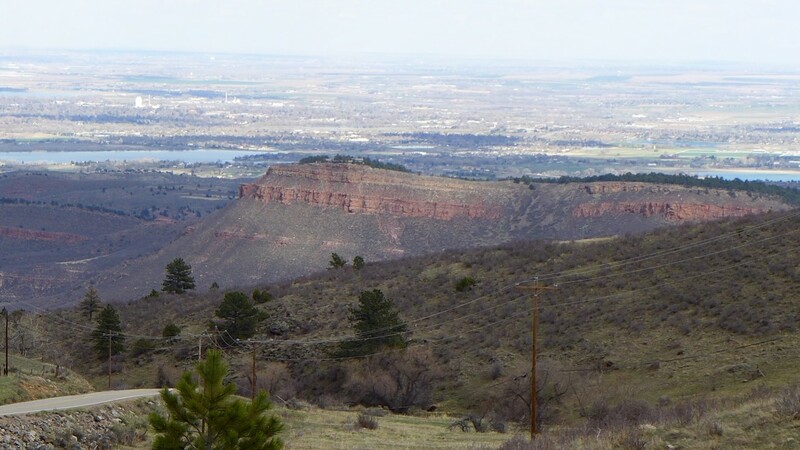 BERTHOUD — In western Larimer County a sedimentary rock ridge runs parallel to the gradual beginnings of the Rocky Mountain foothills, forming a large valley known as Chimney Hollow. In May 2017, federal agencies approved plans to flood the valley — which is between Longmont, to the south, and Loveland, to the north — to create a 90,000 acre-foot reservoir. But while the 14-year federal permitting process has now come to an end and construction slated to begin early next year, a federal lawsuit from six environmental groups could stop the project from moving forward. 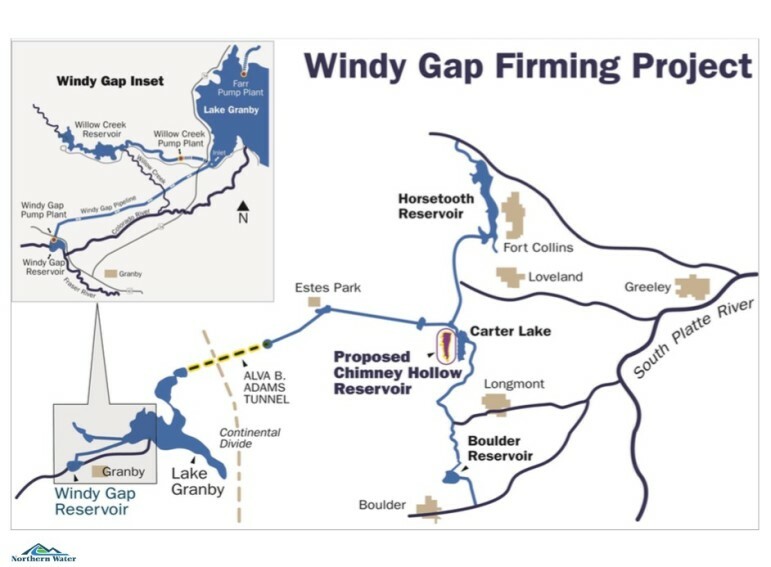 The construction of Chimney Hollow Reservoir is the foundation for the $400 million Windy Gap “firming project,” a supplemental storage plan tied to the existing Windy Gap dam and reservoir, which is on the main stem of the Colorado River in Grand County. The firming project also includes construction of a bypass channel at Windy Gap’s original diversion point in order to help mitigate existing impacts on fish and water quality. The relatively modest Windy Gap reservoir, which holds 445 acre-feet, was built in 1985 to draw water from the Colorado River and pump it uphill to Lake Granby and into the Colorado-Big Thompson project. The water is then sent under the Continental Divide and into Larimer and other Front Range counties. 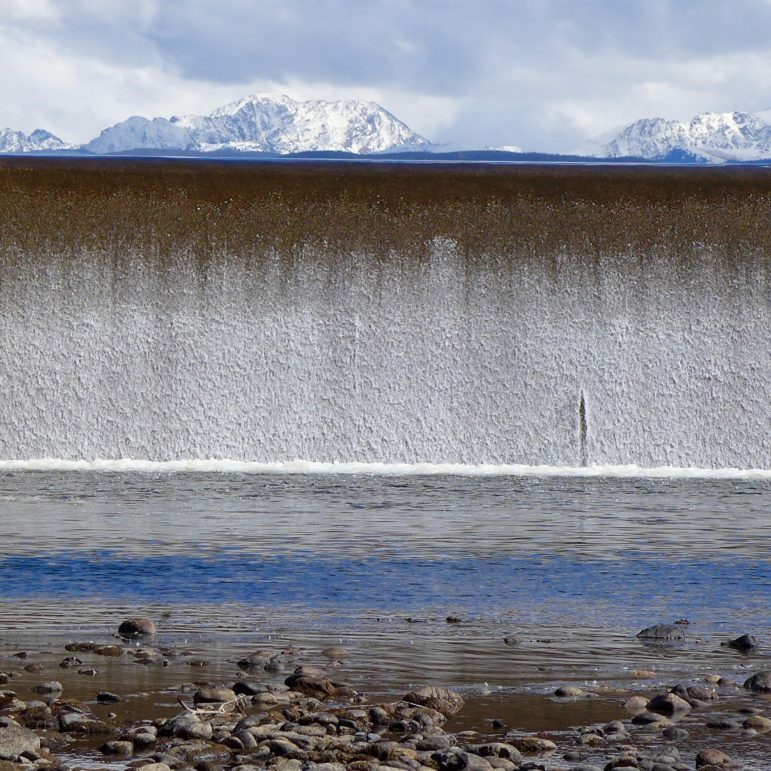 The Northern Colorado Water Conservancy District based in Berthoud, owns the Windy Gap reservoir, operates the Colorado-Big Thompson system, and is intent on constructing Chimney Hollow reservoir to store additional Colorado River water. Twelve municipalities and water districts throughout the Front Range are signed up to help pay for the Chimney Hollow reservoir, based on the share of the water they intend to use. Though the existing Windy Gap Project can today draw as much as 90,000 acre-feet of water from the Colorado River, due to junior water rights and a lack of storage, the project is often unable to provide any water at all to the Front Range. With the Chimney Hollow Reservoir in place, the Windy Gap project could supply a guaranteed 30,000 acre-feet of water per year to its customers. Wockner and Save the Colorado have been joined by five other environmental groups — Save the Poudre, Wildearth Guardians, Living Rivers, Waterkeeper Alliance and the Sierra Club — in suing the Bureau of Reclamation and the Army Corps of Engineers over their environmental review of the Windy Gap firming project. The petitioners allege that the agencies violated the National Environmental Protection Act and the Clean Water Act by failing to consider alternatives, like water conservation, instead of building a new project. “Rather than rigorously exploring and objectively evaluating ways to meet (Northern’s) actual water supply needs, the federal agencies accepted (Northern’s) claimed need at face value and only considered reservoir options that would further (Northern’s) preconceived goal of “firming” Windy Gap water supplies,” says the petitioner’s complaint. Both the Bureau of Reclamation and the Army Corps of Engineers declined interview requests for this story, but according to the Bureau’s Final Environmental Impact Statement, the firming project would supply only about 10 percent of its customers projected 2050 water demand. Because conservation cannot account for the entire projected gap, the FEIS states that the agency did not consider conservation as an alternative to the firming project. The agencies’ assumptions about the demand gap are consistent with those of the 2015 Colorado Water Plan the state’s official water strategy document, which estimates that water demand in 2050 could exceed supplies by as much as 560,000 acre-feet. To make up for this gap, the plan calls for conservation measures and also the significant expansion of water storage facilities. Because of the water plan’s call for storage, the Windy Gap firming project is considered a critical storage project by the state and received endorsements from both the Colorado Water Conservation Board and Gov. John Hickenlooper. Northern, which is not a defendant in the lawsuit, filed a motion in March to intervene on behalf of the defendants in the lawsuit to help defend the permit process. When asked why conservation was not considered as an alternative, officials from Northern said that the demand estimates already assume that municipalities will increase water conservation. Though Northern and the state use the projected demand gap to justify the firming project, the petitioners say the demand estimates are inflated. On May 3, the petitioners filed a motion to add a statistics report to the case’s administrative record. According to the report, the Bureau of Reclamation and the Army Corps failed to update the estimated water use statistics in their impact statements with the actual water use data as it became available over the course of the 14-year permitting process. The report found that the agencies’ estimates for municipal water use were between 9 and 97 percent higher than the actual water use figures. The court is now reviewing the petitioners’ administrative motions as well as motions by both Northern and the Colorado Department of Natural Resources to intervene on behalf of the defendants. These changes will likely delay court proceedings for at least several months. Editor’s note: This story has been corrected to reflect that there are 12 entities participating in the funding of the Windy Gap Firming Project, not 14. There are 14 entities who already own shares of Windy Gap project water, but two of them are not participating in the proposed firming project.